The Paddle Palace Club in Portland Oregon, the Pacific North West premier table tennis experience in the United States, opened one year ago, was the recent host for an ITTF/PTT Level One Coaches Course, the first such initiative staged by the organisation. A total of 13 students attended, travelling from Maryland, Washington DC, Washington State, California, and Oregon; proceedings commenced on Monday 21st August and concluded on Friday 25th August. Myself; Christian Lillieroos, who has since moved to Portland and is now working at the Paddle Palace Club, conducted the course. Paddle Palace the famous longstanding table tennis equipment supplier company is the owner of the Paddle Palace Club. Judy Hoarfrost, the Chief Executive has always wanted to open up a table tennis club bearing the same name as the company opened in the 1970s. Notably. Sunday 1st October 2017 marked the club’s one year anniversary. The first day of the course started with the world famous Solar Eclipse. The Paddle Palace club location had a 99.6 per cent eclipse; only an hour drive south had the infamous 100 per cent. All the coaches wore their eclipse glasses and watched the eclipse reach its climax at 10.15 am. Impressively, the theory lectures took place at the mezzanine level of the club looking down on the club’s courts; the practical part used half of the club’s courts. The five day ITTF/PTT Level One has become very popular in the United States; the country has now 241 ITTF certified coaches and has the fourth highest number of ITTF Certified Coaches in the world after Egypt, Chile and India. It was my third course this year in United States and tenth worldwide. Overall, I have conducted 48 ITTF courses in 23 countries and worked with table tennis in 47 countries. Impressively, Paddle Palace Club is spearheaded by Cory Johnson; a PhD in Philosophy, he is the Director of Operations. He took part in the course; he has an excellent future as a coach. Joanne Mc Bride is also a local club member, who has a past as a high-level tennis player. She was another coach that took part in the course and passed successfully. Paddle Palace will organize another ITTF/PTT Level One Coaches Course in January, which I will conduct. The venue is ideal place for ITTF courses. The Club has excellent lighting, red table tennis flooring, open 12 hours every day and is located very central to the down town suburb to Portland. Pertinently, the club has about 130 members, Sean O’Neill and Xie Jiwei are also coaching in the club. Also, the club has three guests from the east coast in the young Chinese trio of Bowen Chen, Wang Cheng, and Bojun Zhangliang. They are all high-level players, ex-China provincial team members but are now residing in United States. Wayne Steffens from Seattle, Washington won the award as best coach in class. In addition to his table tennis knowledge he also has extensive experience in powerlifting, which is very useful for table tennis. The Level One course focuses on how to train players from the age of five to ten years. Alex van Steen from Washington, who is a very accomplished fourth grade teacher contributed greatly in the course with his experience of working with this age group. He is working hard in making table tennis a middle school sport in his school district. 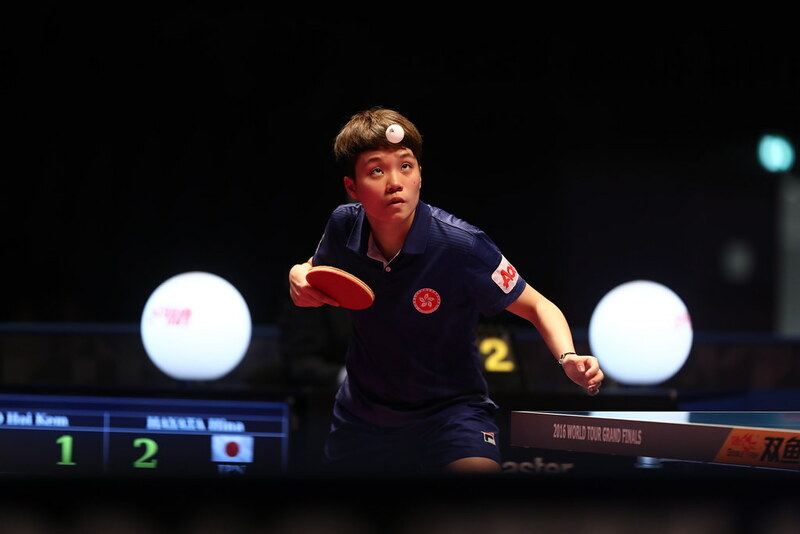 We are looking forward to the next ITTF/PTT Level One course in January.